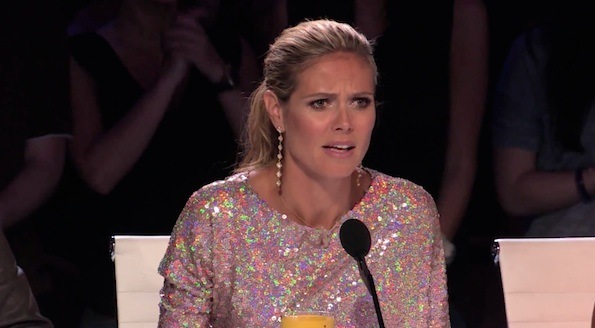 Pre-Teen Metal Fan Scares the Crap Out of Heidi Klum and Mel B.
What’s better than a six-year-old girl singing an original song called “Zombie Skin” on national television? Almost nothing. 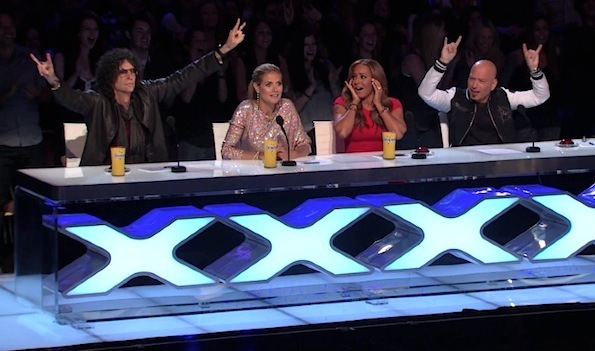 Except maybe a six-year-old girl looking all cute and innocent and then scaring the blonde German crap out of Heidi Klum and Scary Spice with her original song called “Zombie Skin” as Howard Stern throws up the the horns as if he were at a Metallica concert. 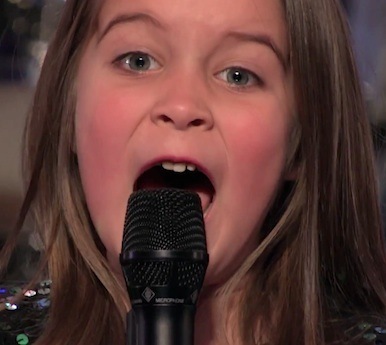 That’s exactly what happened on Tuesday’s episode of America’s Got Talent when tiny Aaralyn and her 9-year-old brother took the stage. 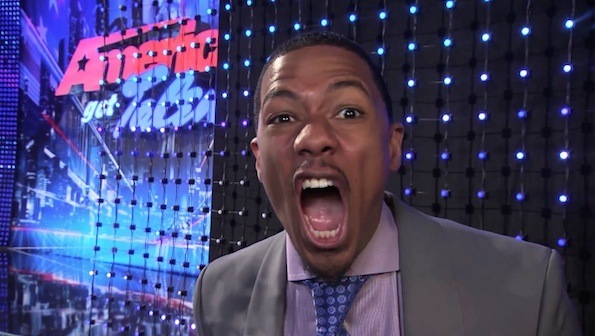 ………….And Nick Cannon screamed a fake scream of terror, like this………. 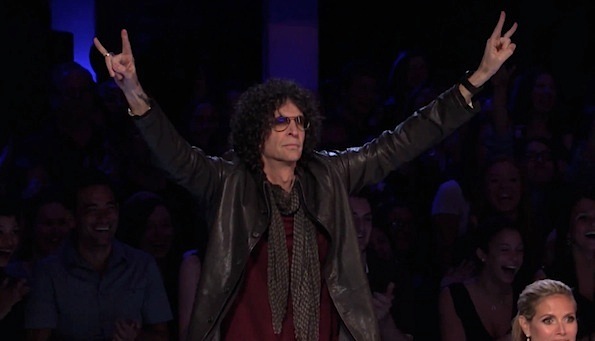 …………And then Howard and Howie threw up the sign of the horns, like so………..
Stupid video won’t embed. WordPress is sucking. Head over to Uproxx to watch. To be honest I loved it. Totally unexpected. 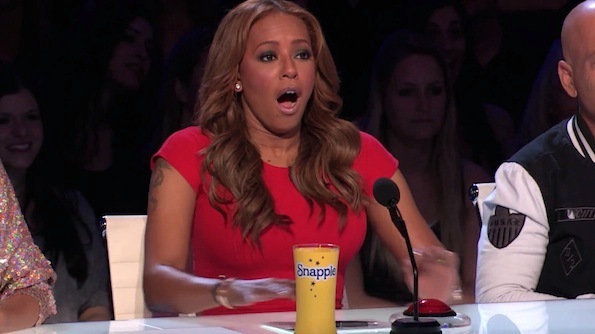 The devil lives on Americas Got Talent.